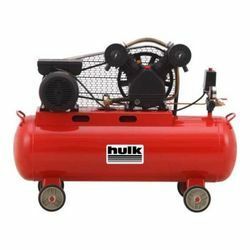 Prominent & Leading Manufacturer from Noida, we offer industrial compressors, water jet machine, automatic car washing system, high pressure air compressor, high pressure cold water jet cleaning machine and hot and cold water high pressure washer. 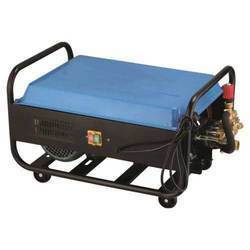 Industrial Compressors is manufactured using quality-tested raw material and sophisticated techniques as per set industry standards. 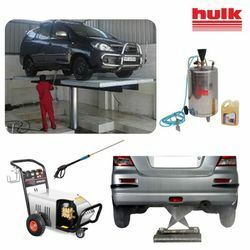 We are engaged in offering Automatic Car Washing System to the clients. 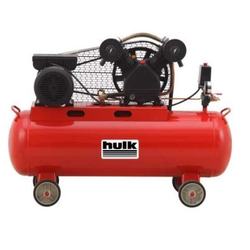 High Pressure Air Compressor is manufactured using quality-tested raw material and sophisticated techniques as per set industry standards. 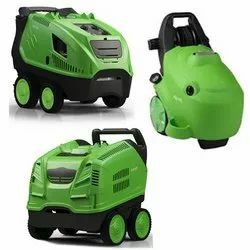 Our domain expertise has enabled us to offer an extensive range of High Pressure Cleaners. Our offered product is manufactured by utilizing innovative technology and optimum grade material keeping in mind the set norms. Our product is quality checked on different parameters before final dispatch to clients. 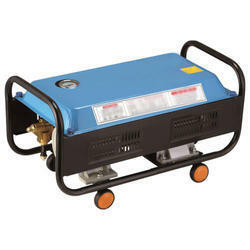 In addition to this, the offered product is available as per customer's specifications in a stipulated time frame. We are engaged in offering Vehicle Washing Machine to the clients. 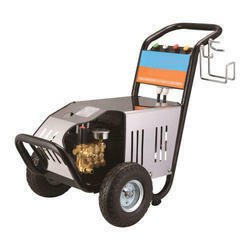 High Pressure Washers -Engine operated, complete with trolley mounted water tank, High Pressure cleaning Equipment. First Time in India. 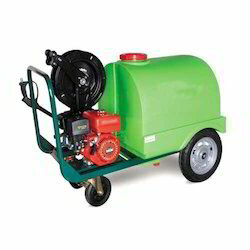 The cleaning power of a Pressure Washer is determined by the combination of water pressure and water volume. The higher these two factors are, the easier it is to dissolve stubborn dirt, making it possible to clean large surfaces more quickly. 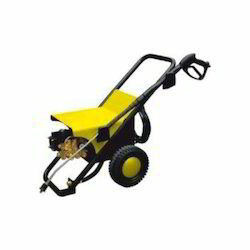 The unit with the right accessories is recommendable for cleaning large surfaces such as facades. 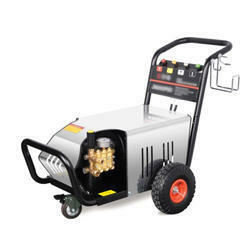 Apart from higher performance data, higher range machines also come with practical additional functions that shorten setup and breakdown times, which is especially convenient for frequent use. 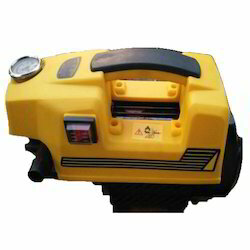 It is useful For easy cleaning of hard-to-reach places at a height or depth up to 4 metres. 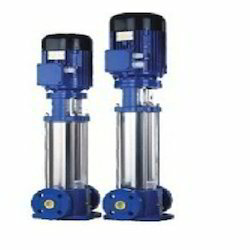 The infinitely variable pressure regulation from low-pressure detergent jet to high-pressure jet makes its performance superior to other methods. 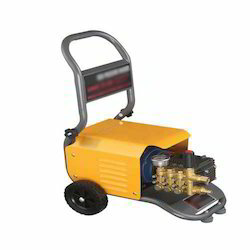 Metal construction with specially hardened steel nozzle. 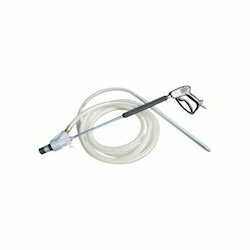 3m suction hose - draws abrasive grit (aluminium oxide) from separate container. 80 - 100 psi working pressure. 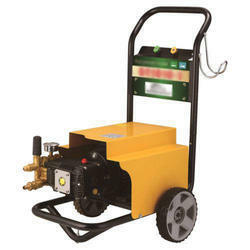 Requires 3hp air compressor with receiver for effective use. ¼" BSP air hose connector. 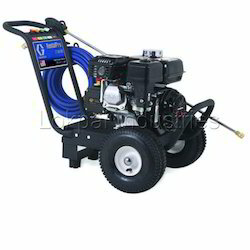 Looking for High Pressure Washer ?